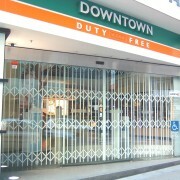 ATDC™’s S06™ concertina security doors and shutters are heavy duty and fully-framed for extra protection. 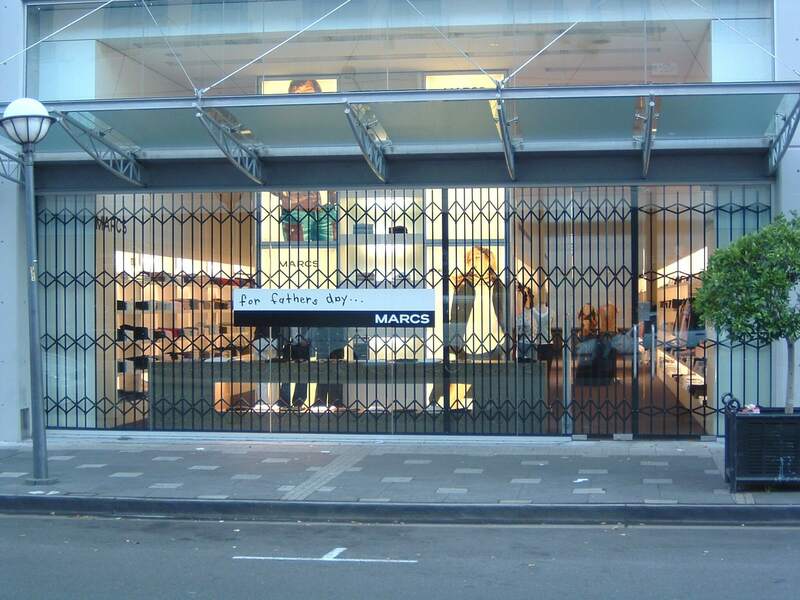 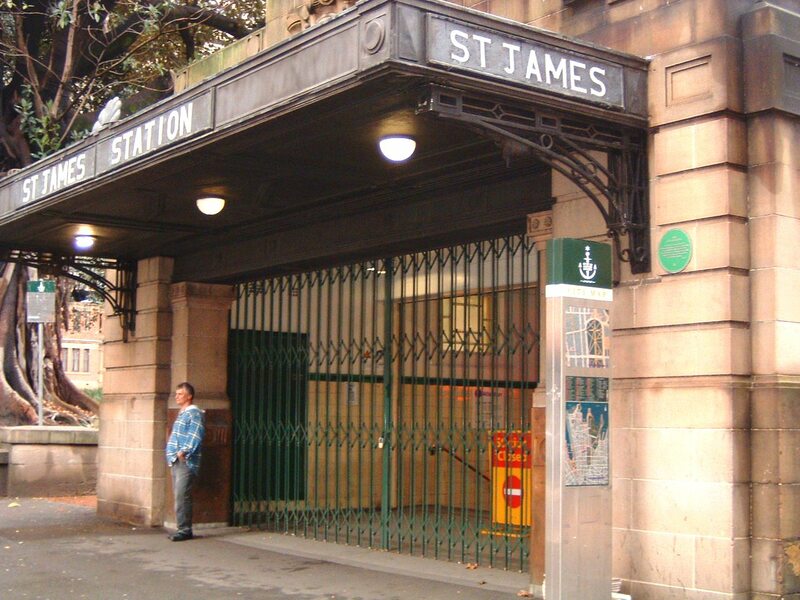 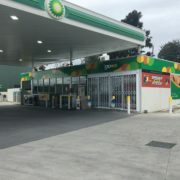 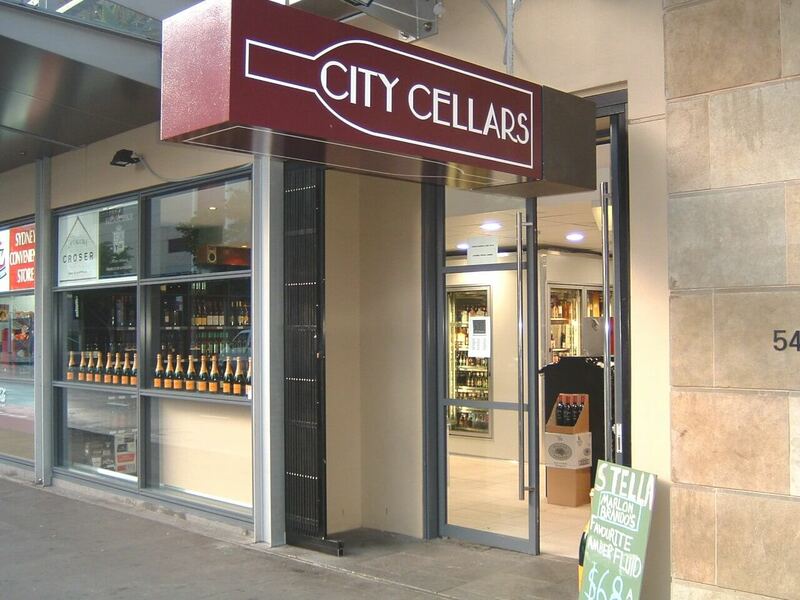 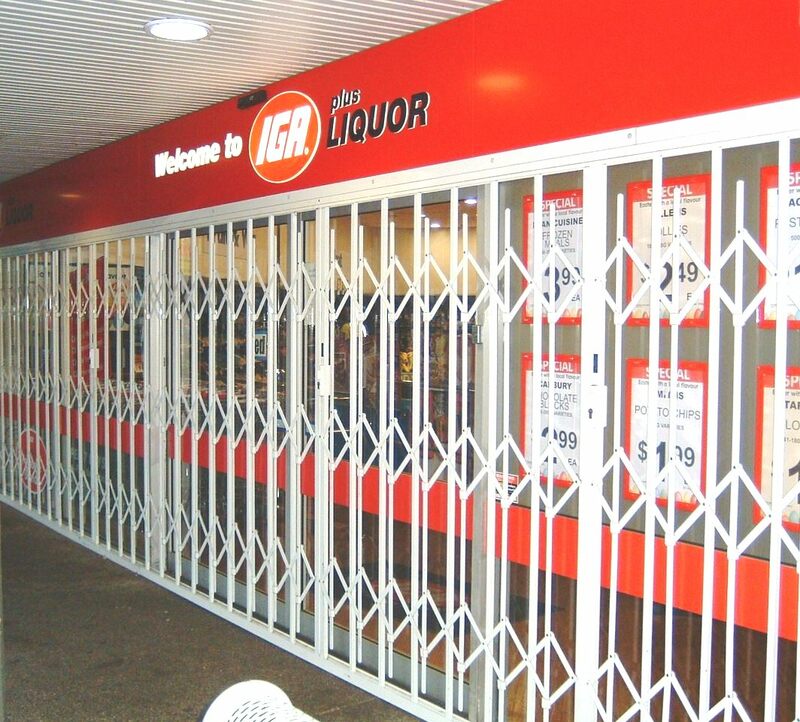 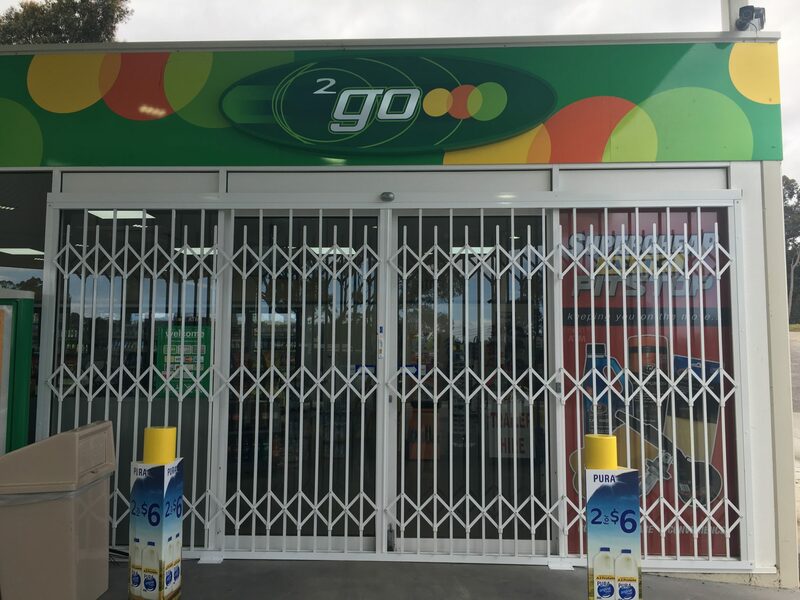 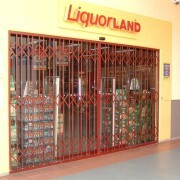 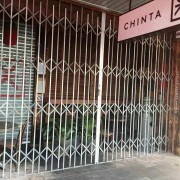 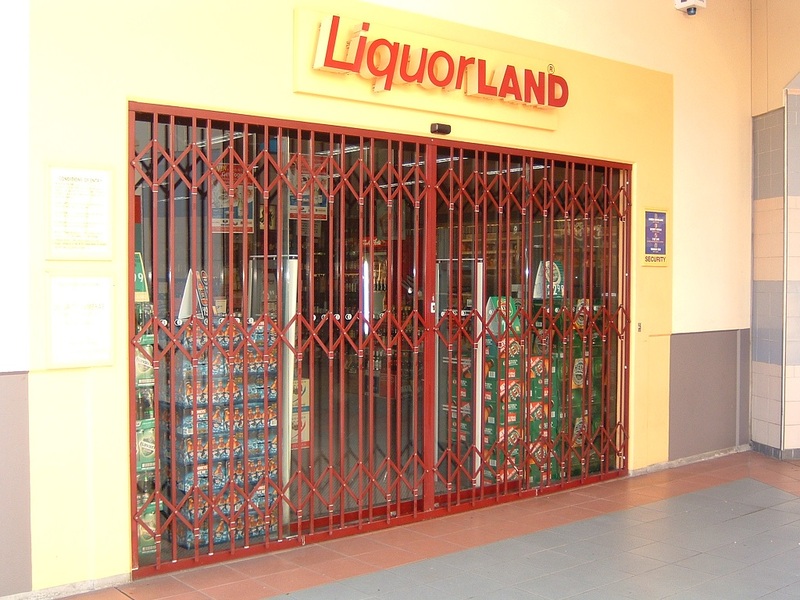 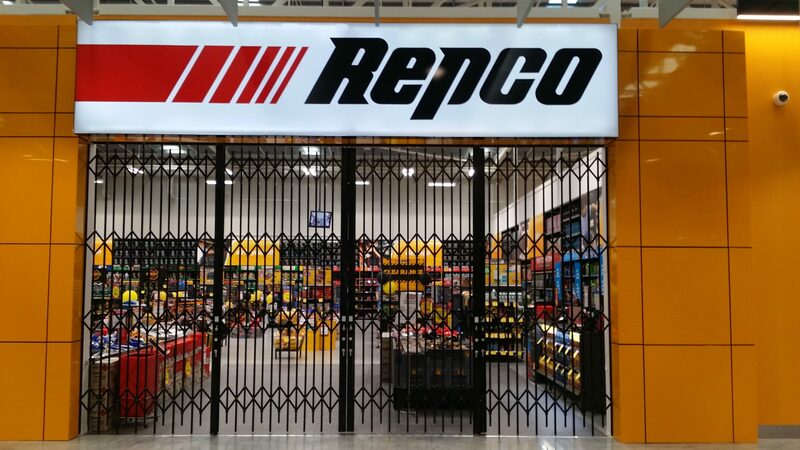 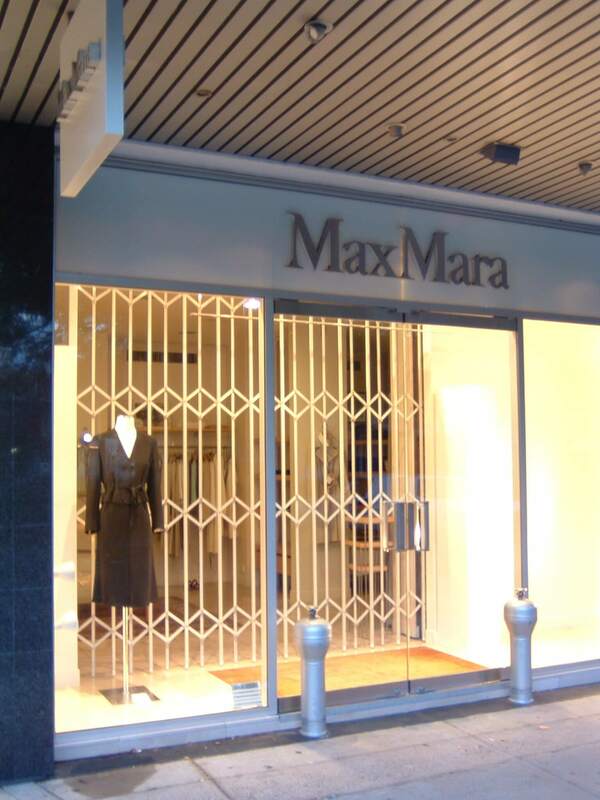 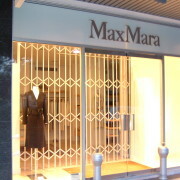 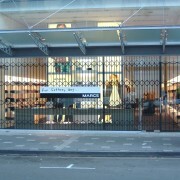 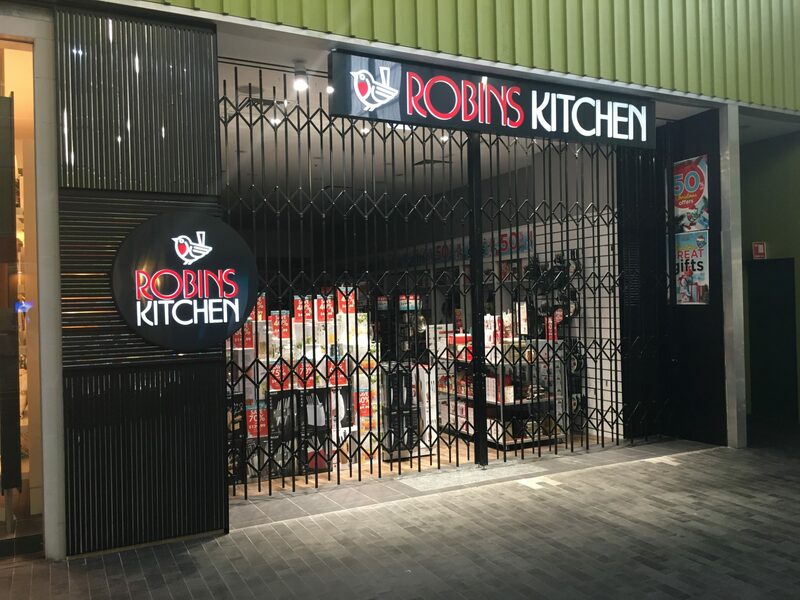 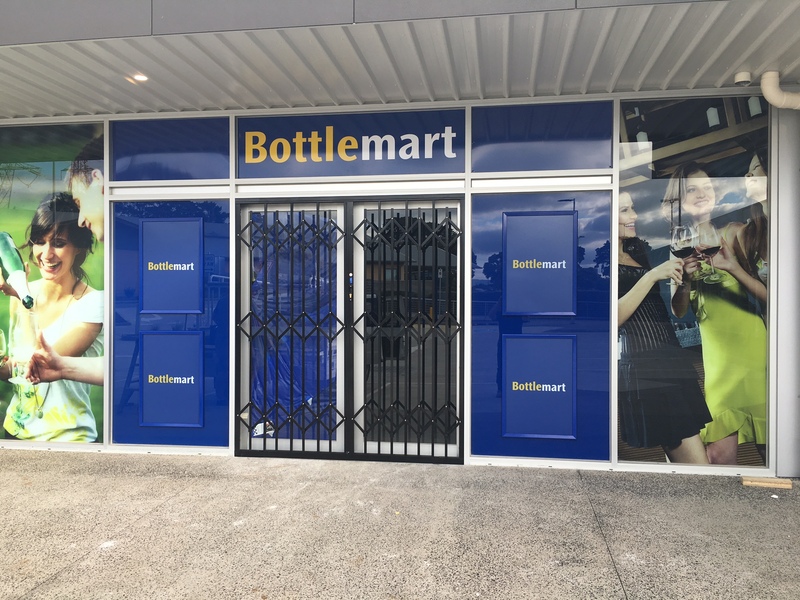 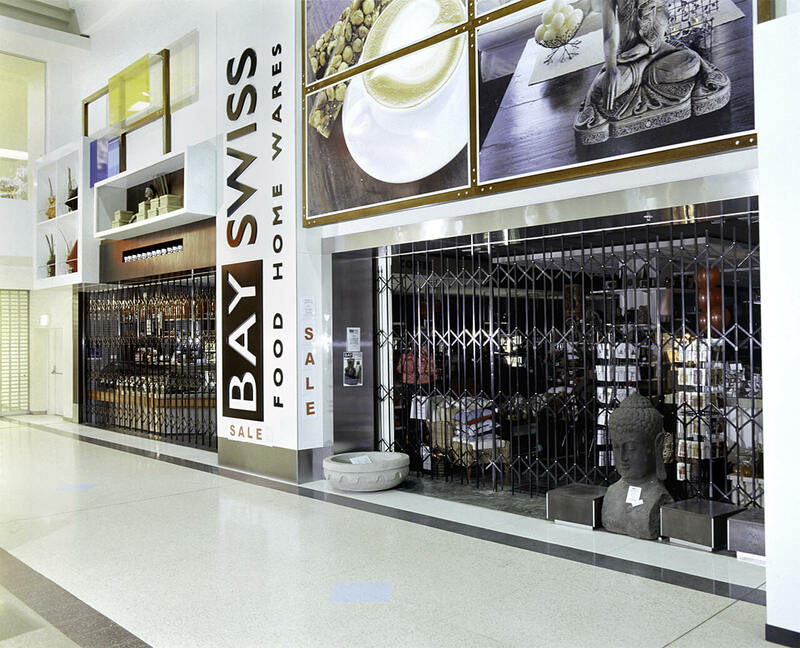 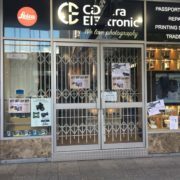 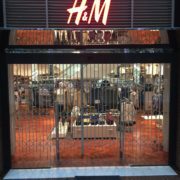 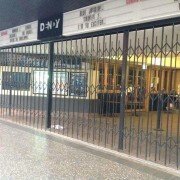 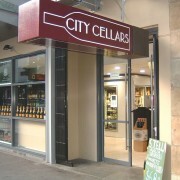 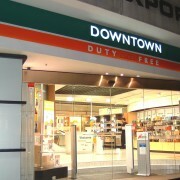 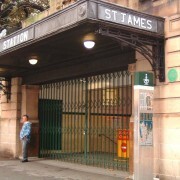 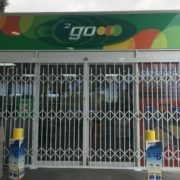 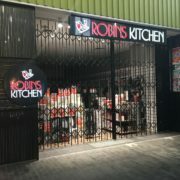 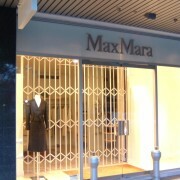 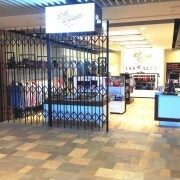 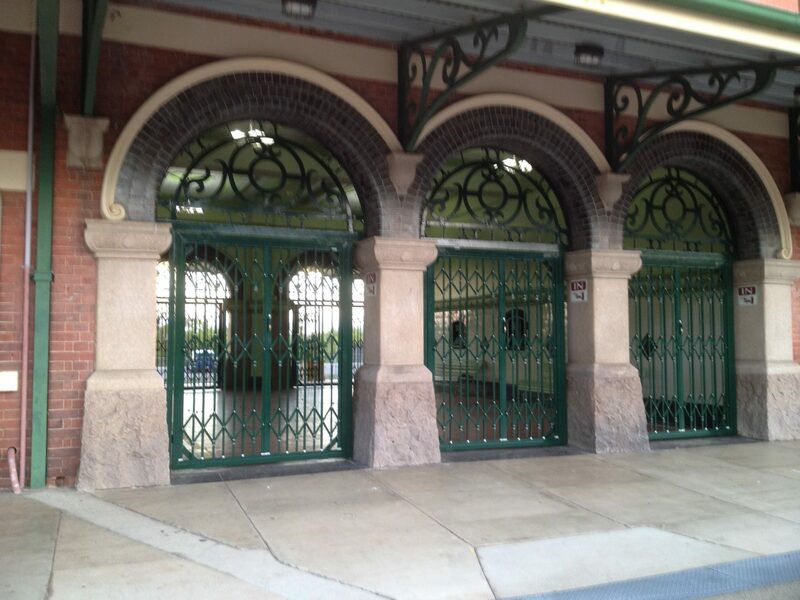 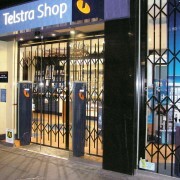 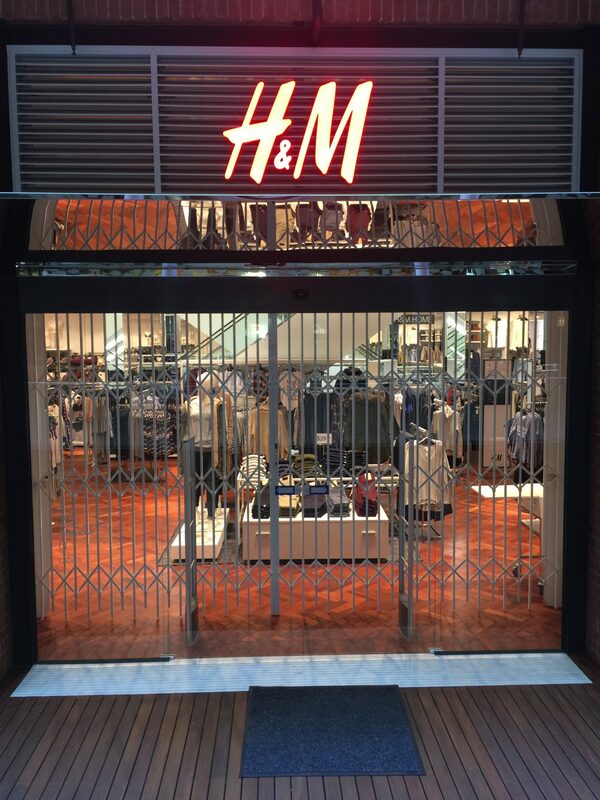 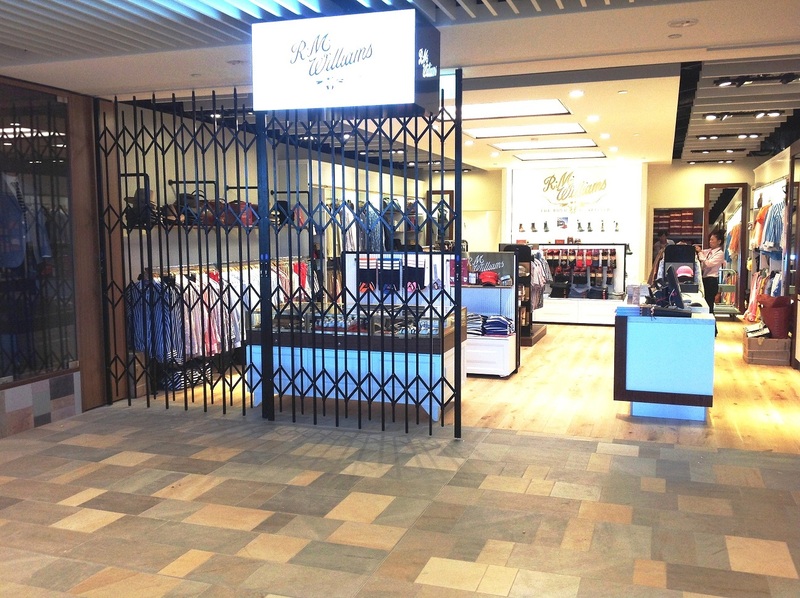 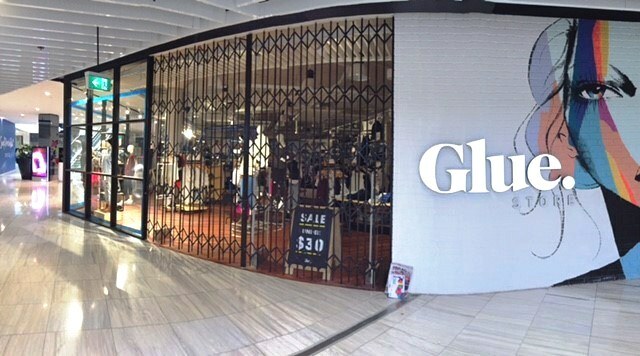 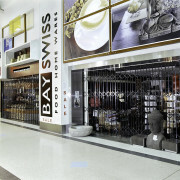 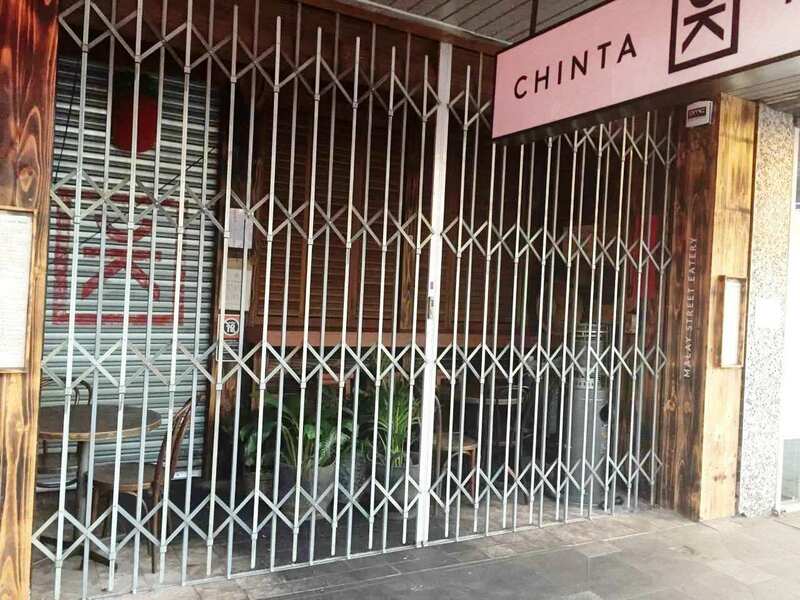 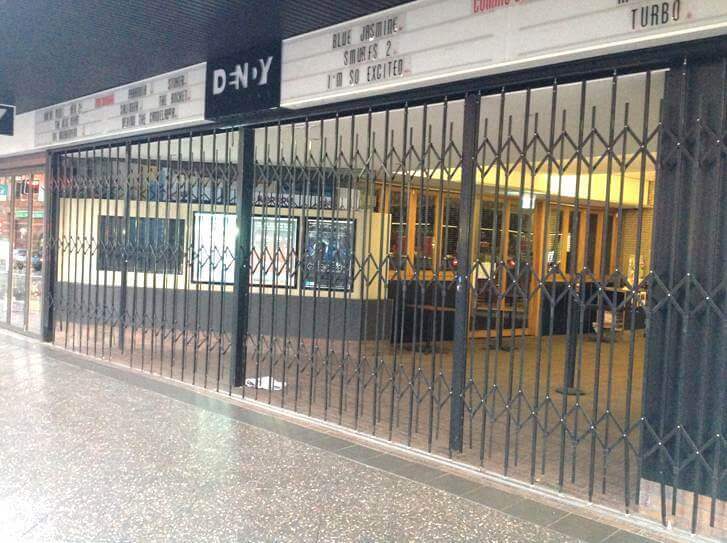 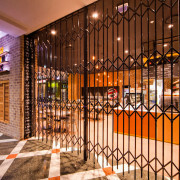 Along with the S03™ expanding trellis security shutters, it is the only shutter door on the Australian market tested to Australian Standard AS 5039, making it suitable for high-level security in shops, banks, government buildings, hospitals, clubs, sports arenas, airports, railway stations and heritage buildings. 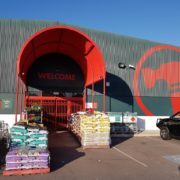 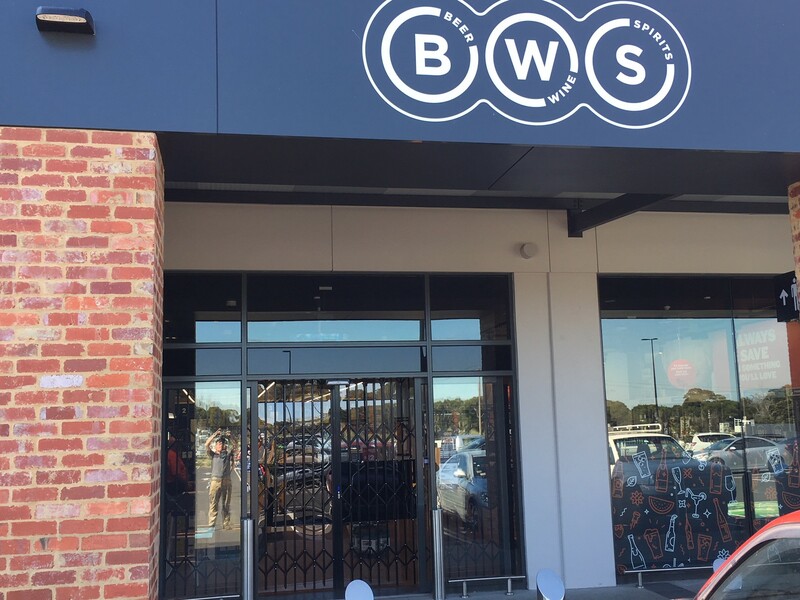 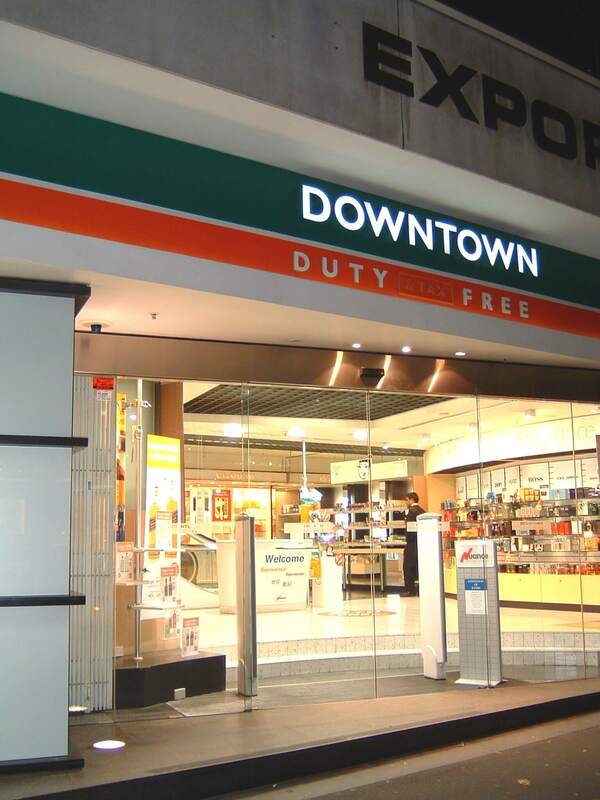 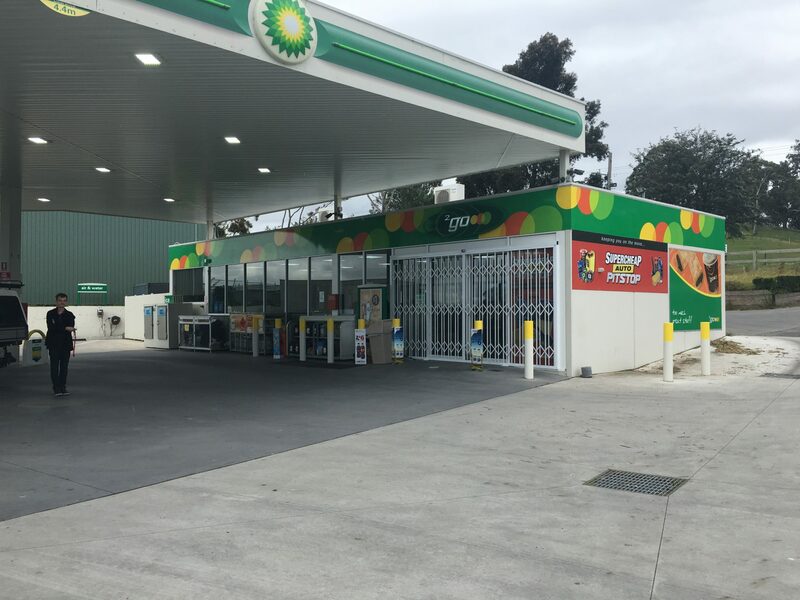 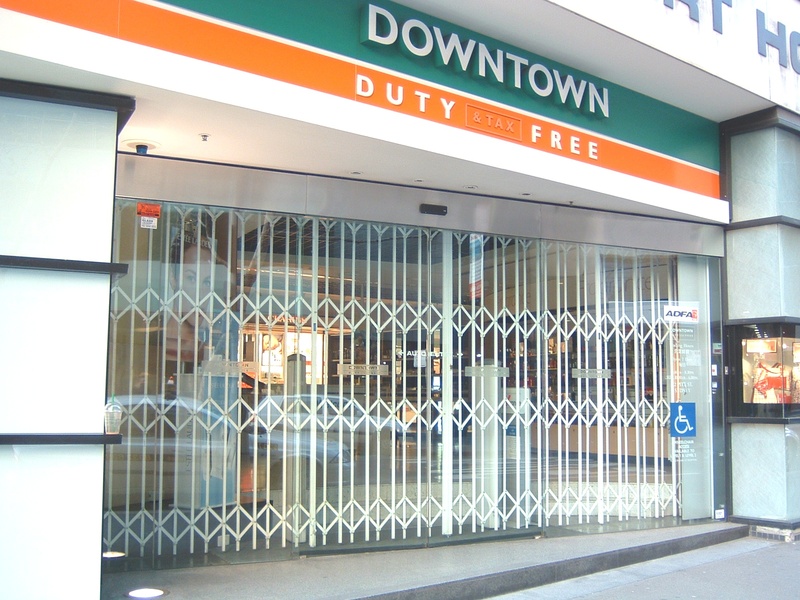 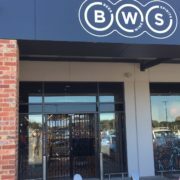 ATDC™’s security shutters are trusted by many of the largest retailers in the country (such as Harvey Norman, Flight Centre, Woolworths Petrol, Bing Lee, Telstra, BWS stores) to secure their premises. 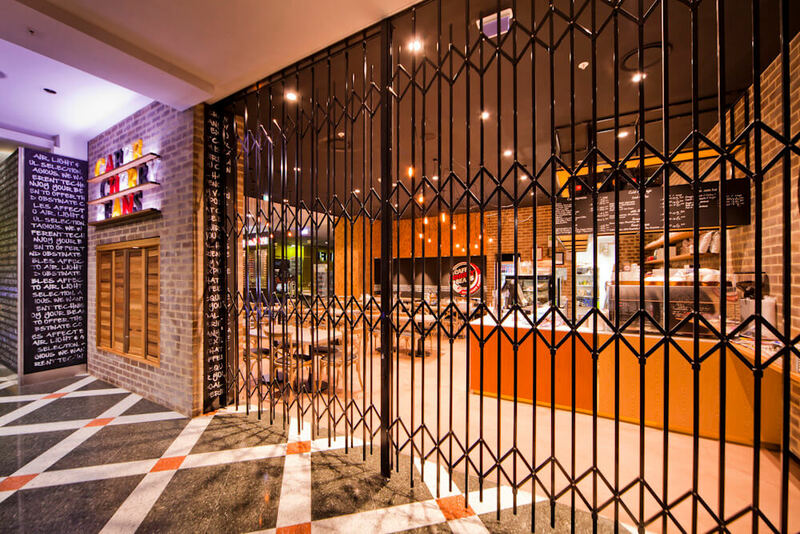 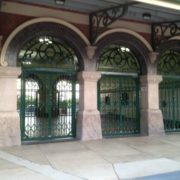 The S06™ Concertina Security Door is great for protecting banks, shop fronts, hotel bars, closed warehouse areas, government buildings, hospitals, clubs, sports arenas, airports, railway stations, heritage buildings, and other establishments. 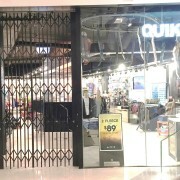 Closing and locking this shutter door takes only seconds. 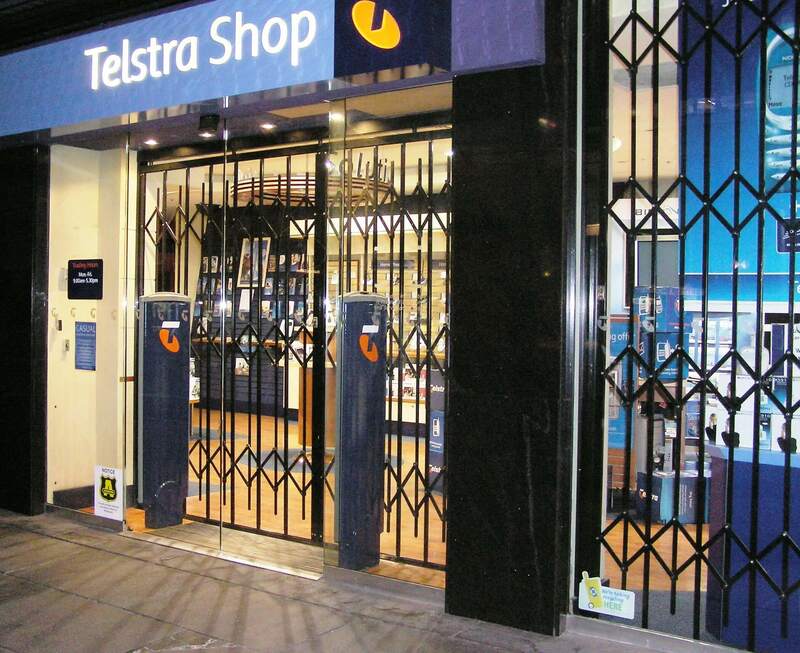 So why should you choose the S06™ for your business? 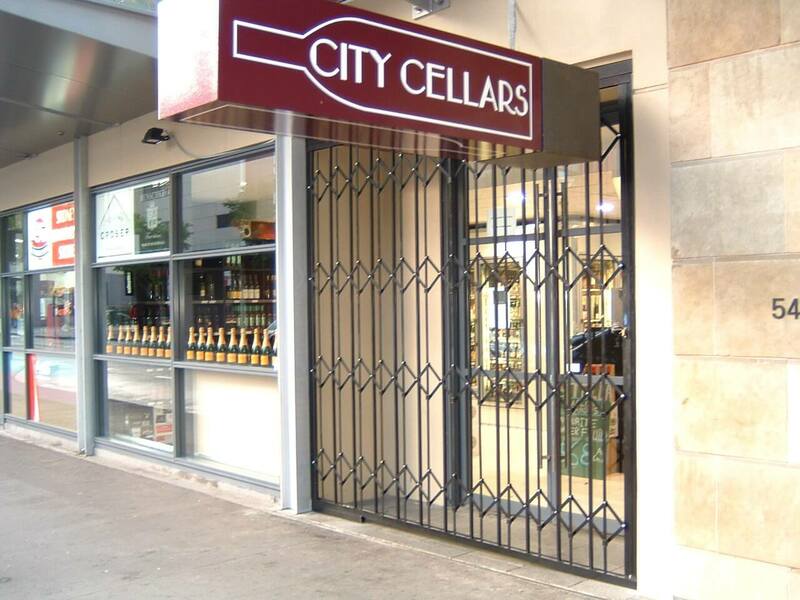 This trellis door has been reviewed against the relevant Deemed-to-Satisfy provisions of Part D1 & D2: Construction of Exits of the BCA 2011 pertaining to its use an egress door. 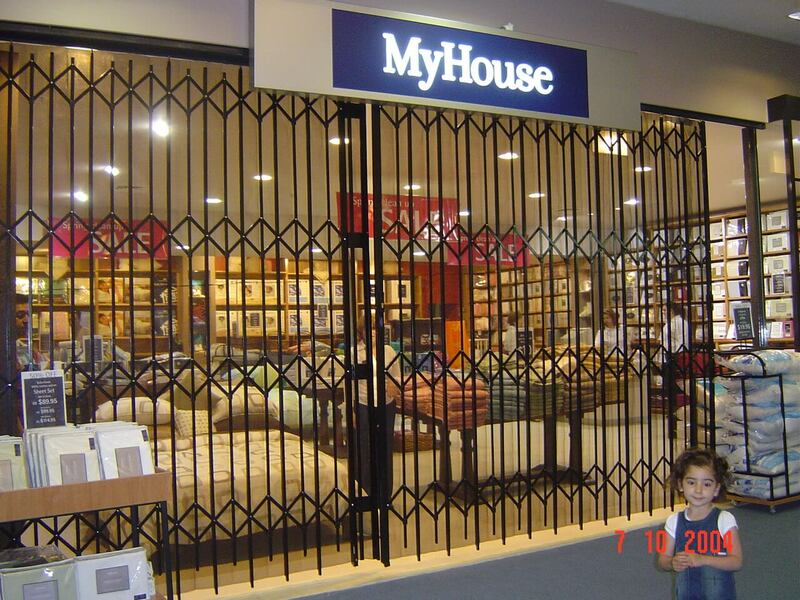 Custom made every time from 95% solid steel for ultimate strength. 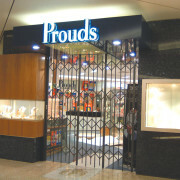 Fully-framed to ensure no weak points along the edges. 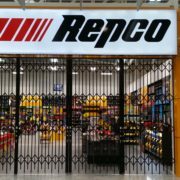 Features solid brass rivets to resist corrosion and they are used in a non-pivoting fashion so there is no mechanical weakening. 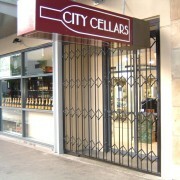 It resists significant burglary attempts. 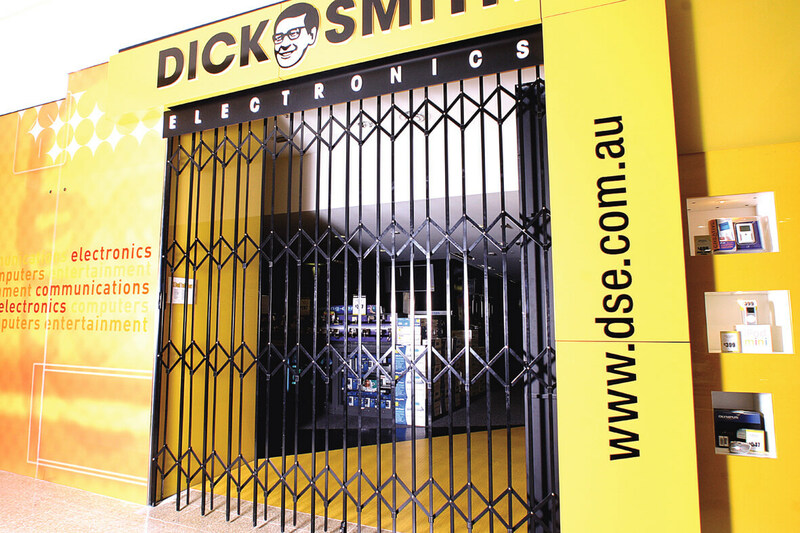 After stringent burglar-resistant static load testing, the Slamlock proved to be unquestionably stronger than other locking systems. 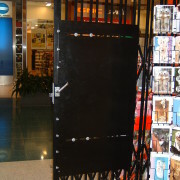 The Slamlock which is fitted to the S06™ Security Door locks instantly as the door is shut. 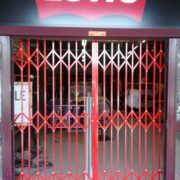 It features a 12mm pin for extra strength, 3 locking points for maximum grip and a double hook for extra strength! 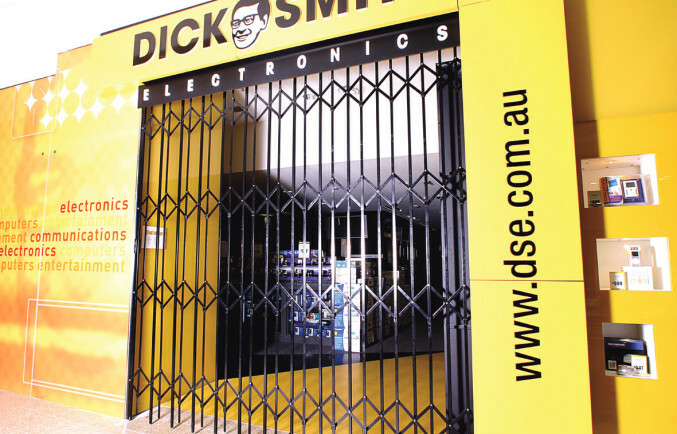 The locking cylinder fitted to this door is made by a subsidiary of Assa Abloy and locks at three points to ensure that your security system cannot be easily defeated. 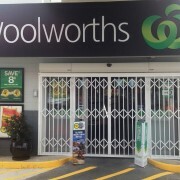 The S06™ has passed the anti-jemmy test under Australian Standard 5039 as per above. 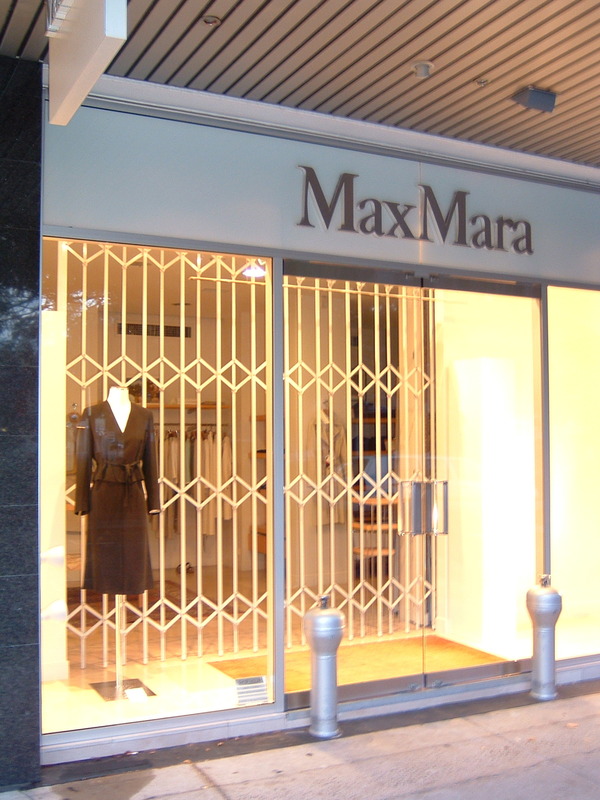 Whenever a screw is required on the external side of a security door, shutter or security window we use industry-leading security screws that cannot be undone with ordinary tools, to increase your protection. 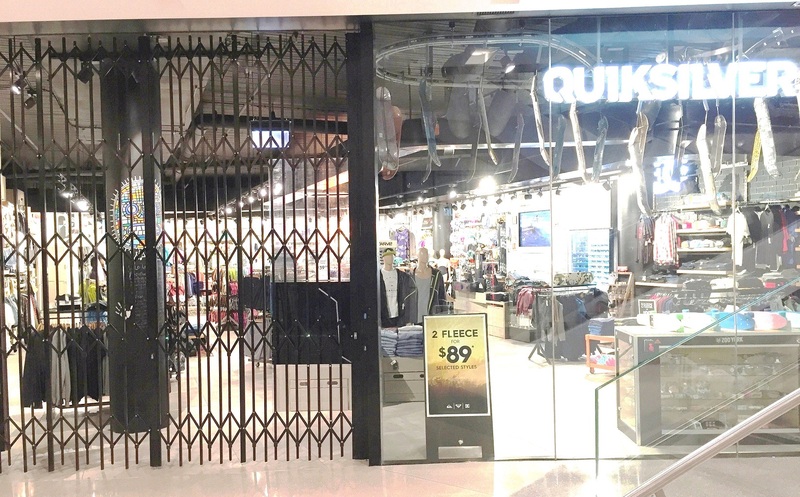 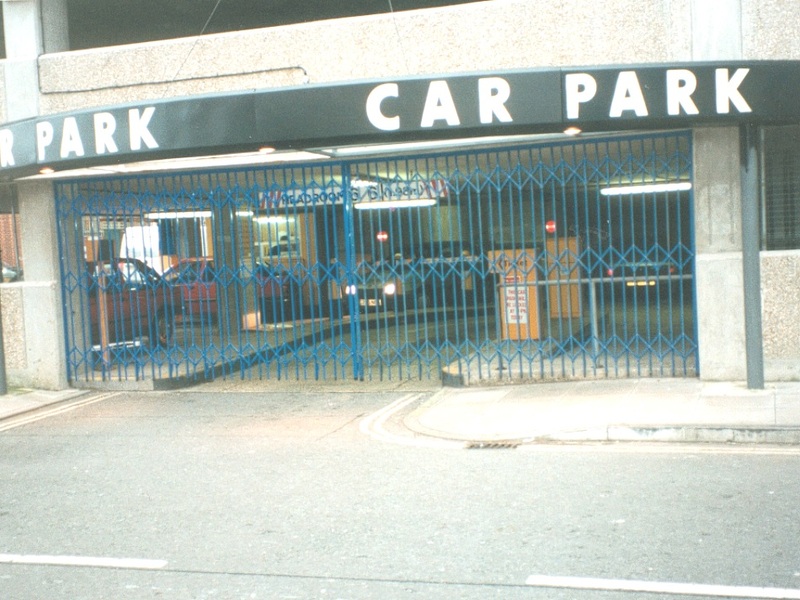 The S06™ Concertina Security Door has been treated to increase strength, powdercoated in an exclusive epoxy resin and galvanised against corrosion, so it will be a working asset for many years. 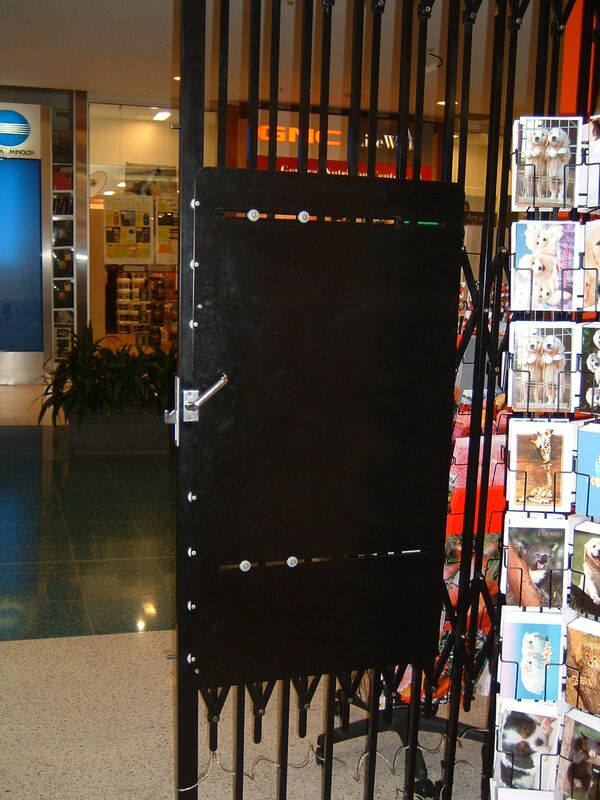 The S06™ security door will fold away to just 15% of its closed size into a specially designed cupboard. 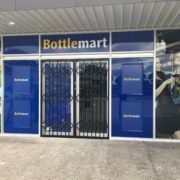 Your customers will not even realize it is there. 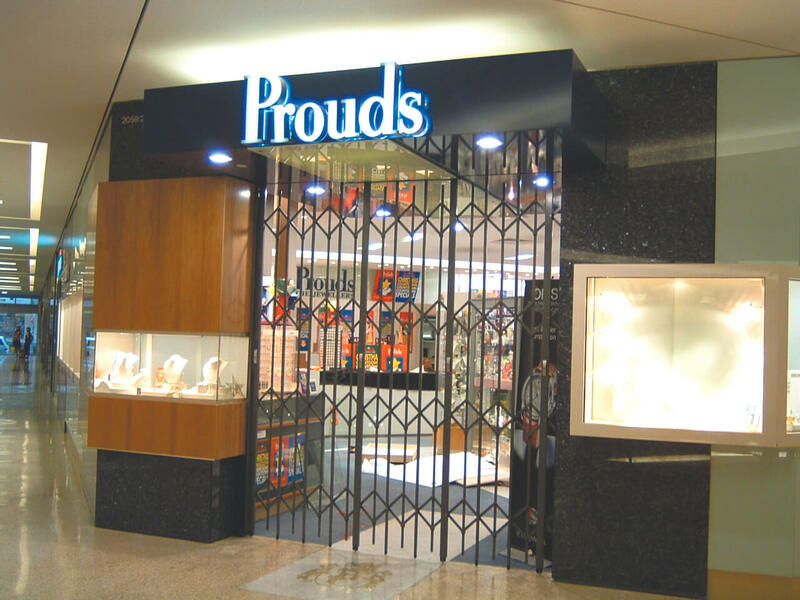 S06™ Security Doors are available in 2 standard exterior quality colours (Black Satin and Pearl White) and with a short extension on the regular production time they can be matched to your business perfectly using the Dulux PowderCoat range. 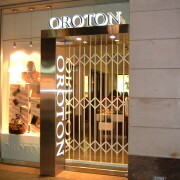 Bottom track can be fixed, removable or hinged. 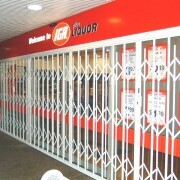 So if you want, it can be completely invisible to clients during business hours. 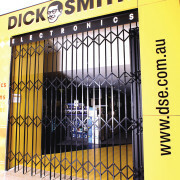 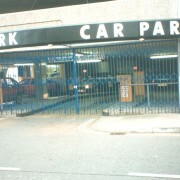 Our Master Security Licence Number is 408031732. 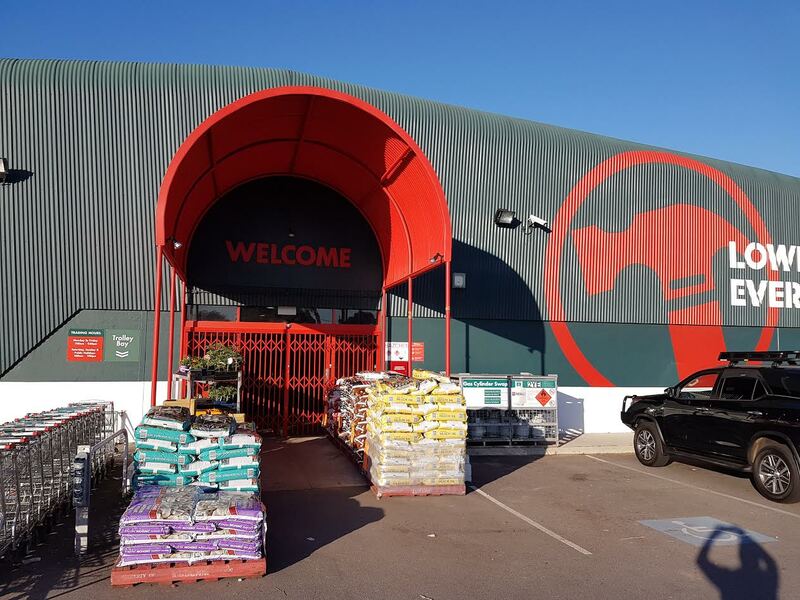 This is your assurance that all the work we do is compliant with industry standards, so you can feel confident that you are dealing with a company that has your safety and security at heart. 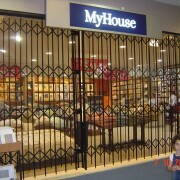 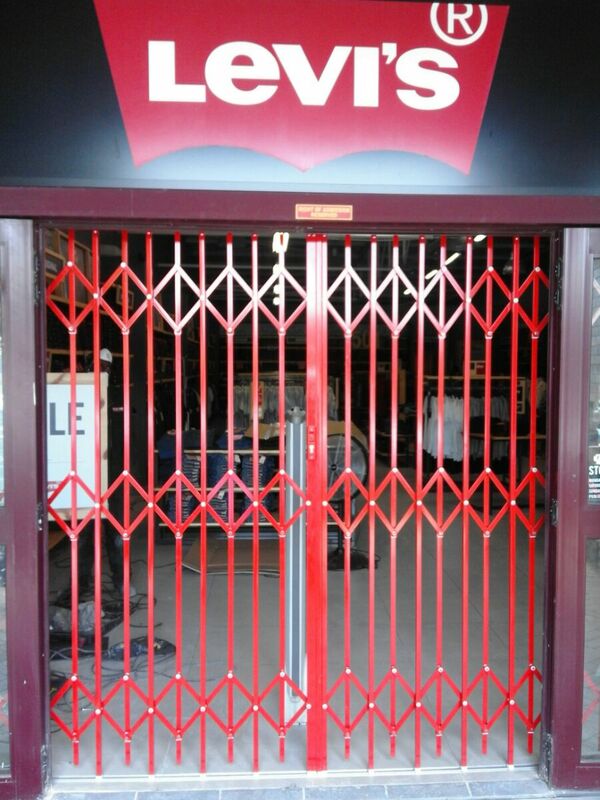 Next step: a free no-obligation quote for our winning range of security shutters and door systems. 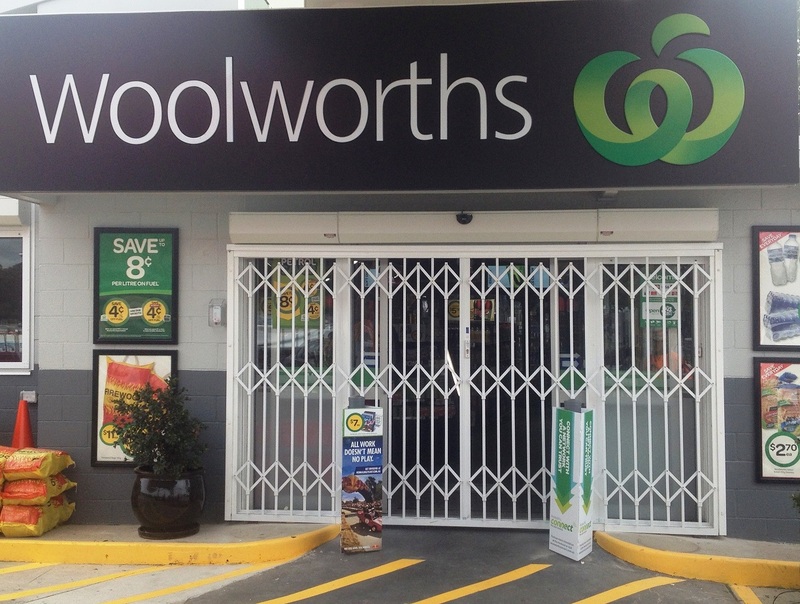 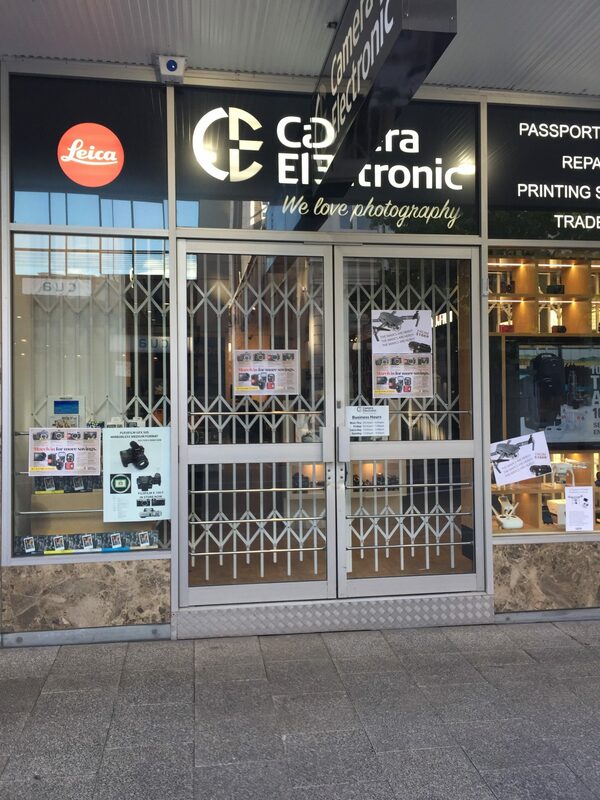 To see just how quickly the S06™ Steel Concertina Security Door system can be fitted to your business and how cost-effective it will be, use the Enquire Now button above. 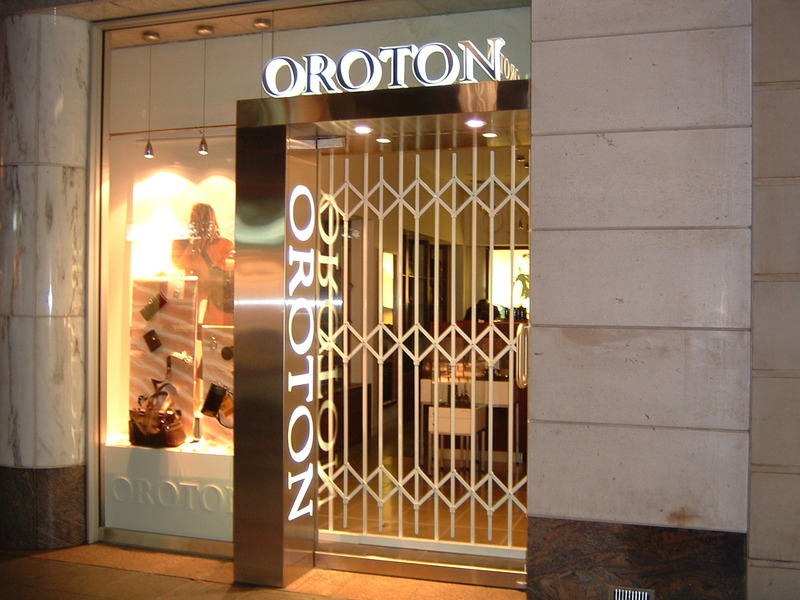 One of our knowledgeable salespeople will come to your business at a time that suits you for a no-obligation measure and quote.